This content was produced by the Advertising Department of WXII. You don’t want to see it, but there it is: a crack in your home’s basement wall or the retaining wall at your industrial building. Instantly visions of walls caving, crumbling and, massive disruption fill your head. But you can relax. Today, there’s more than one solution for cracked, bowing or leaning basement and retaining walls. As in other areas of modern home and commercial building maintenance, technology has improved foundation-based repairs, most recently in the form of carbon fiber reinforcement straps. There may be structural damage to your home or business, but there’s no need to panic. In fact, if you live in North or South Carolina, Carolina Foundation Solutions (CFS) offers free, expert evaluation of your specific situation. Basements are typically constructed of three different materials: concrete blocks, poured in place concrete walls and bricks. Historically, homes in the Carolinas have been constructed of concrete blocks and, when subjected to repeated lateral pressure, they shift. 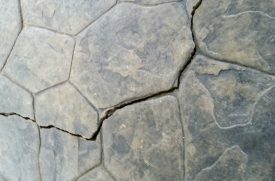 A crack in any foundation is a common occurrence in all types of buildings, whether they are in residential basements or in the retaining walls and exterior concrete of commercial structures. 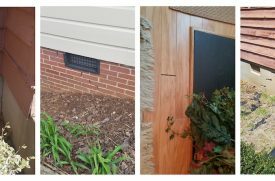 Although bowing and leaning most often occur in older basements, new structures are also vulnerable to shifts in soil, poor drainage and weather, among other factors. The repair strategy depends on the wall materials, the height of the walls and height of backfilled soils on the outside. 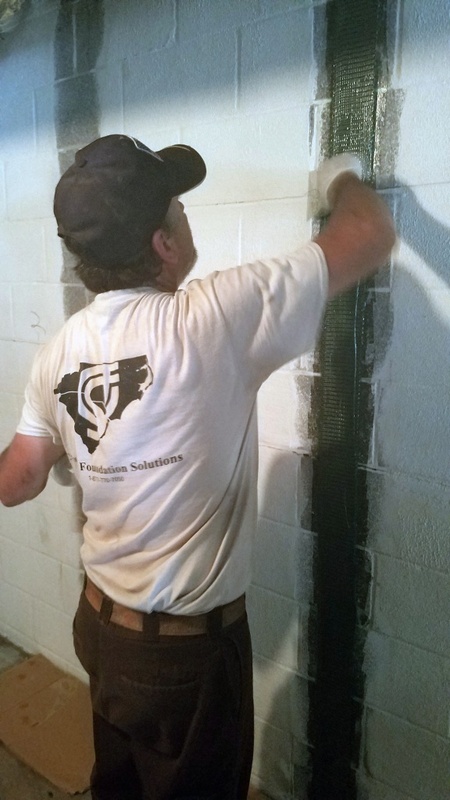 While repair once meant major reconstruction, the most common method for repairing a foundation today is the installation of carbon reinforcement straps, a much more efficient and significantly more economical solution. How exactly does carbon fiber solve the problem? To start, carbon fiber is corrosion-proof, which means it will last a very long time. It’s also more rigid than steel, shoring up walls against movement upon application, and it is flexible enough to conform to future shifts. Because they lay flat on the surface of the wall, carbon fiber straps can be painted, preserving the building’s integrity. They also do not interfere with basement rehab projects, such as paneling. The efficiency and economy of this method come from the short installation time, which is usually complete in just one day. The cost savings of the straps vs. rebuilding one or more walls is substantial. Fortunately for home and building owners across the Carolinas, CFS technicians have worked with carbon fiber straps ever since they first came on the market. The family-owned company has always remained at the forefront of new technologies that can improve their best practices, standards that have earned the company an A+ Rating with the Better Business Bureau and multiple Angie’s List Super Service Awards. After conducting a complimentary consultation, a Carolina Foundation Solutions technician will explain all the details of setting your foundation straight. CFS incorporates over 175 years of combined experience in evaluating and performing foundation repairs. The CFS methodology features the installation of Fortress Stabilization Systems, which utilize carbon fiber reinforcement material. The straps are formed from an interwoven grid of carbon fiber and Kevlar, two of the strongest fibers on earth. There are also full sheets available, depending on the repair requirements. Both CFS and Fortress Stabilization Systems, the manufacturer, provide lifetime guarantees for the repairs, adding another kind of reinforcement – peace of mind – to this essential repair. 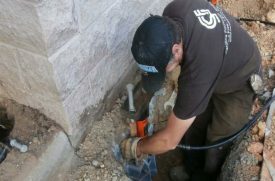 CFS technicians will also recommend, when appropriate, the installation of helical tieback anchors, which are used to attach a retaining wall to a structure. CFS utilizes CHANCE helical tieback anchors, the industry standard. CHANCE, in business since 1912, manufactures its anchors out of hot dipped galvanized steel, the strongest material available. 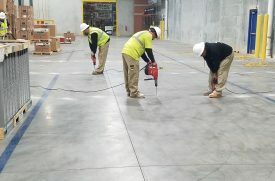 As a CHANCE-certified installation company, CFS ensures that each of its technicians is trained extensively in all the techniques necessary to reinforce a home or business. There’s nothing glamorous about the foundation or retaining wall of our homes or businesses, however, no other element is as important to its structure. 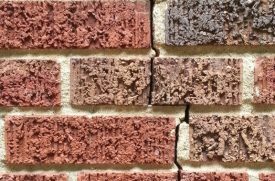 In the past the prospect of a foundation repair would not only affect an owner’s immediate financial situation – it would also have a negative impact on the resale value of the home or building. The invention of carbon fiber reinforcement straps has fundamentally changed the foundation repair industry by greatly reducing the cost of foundation repair, while enabling structural integrity to be maintained. Carolina Foundation Solutions offers the best materials, expert installation and, in most cases, a lifetime warranty. Because neglected cracking, leaning, or bowing walls usually get worse, request a free consultation now, to learn how to reinforce your home’s foundation or keep your business on track.